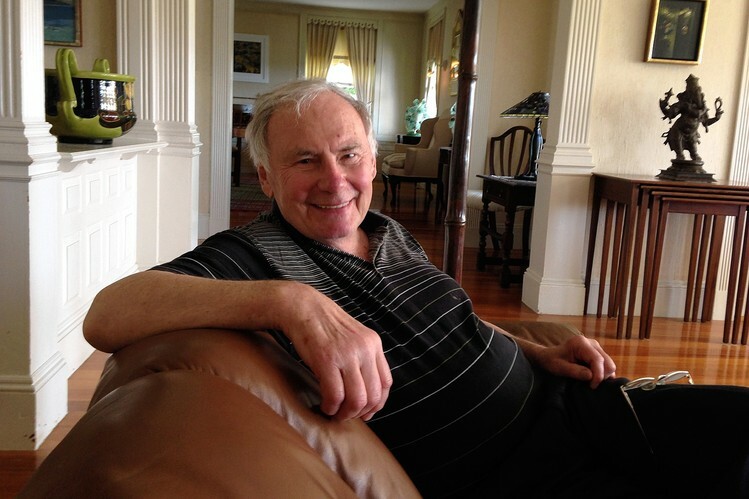 Richard Estes’ Realism by Patterson Sims et al. Author: Patterson Sims et al. It was a rainy Saturday and a perfect time to go to my local art museum and discover the work of photorealists Richard Estes, Robert Bechtle, Ralph Goings, Audrey Flack, and others. The exhibit was small, but very well displayed and comprehensive. I enjoyed having a latte in the café and buying a pair of colorful socks made in Vermont from the museum store. 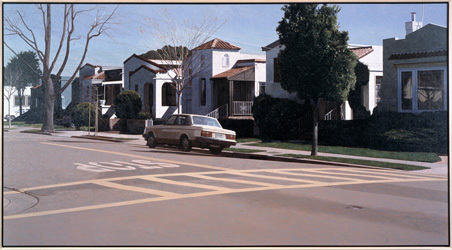 I loved Robert Bechtle’s subdued suburban scenes and classic cars. 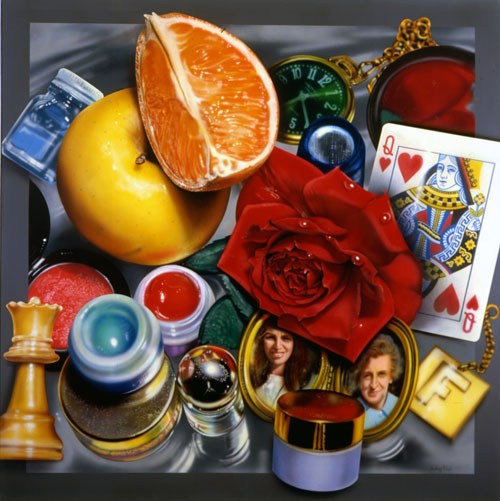 Audrey Flack’s bright and colorful still lifes are shiny and eye catching. 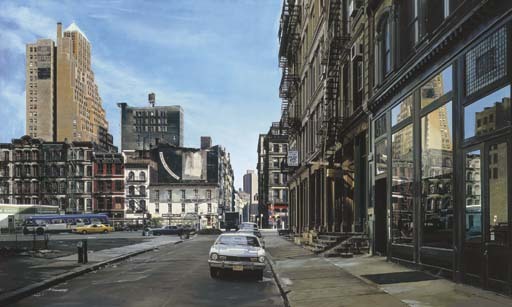 I especially loved Richard Estes’ realistic paintings of New York with their depth, history, and abundance of reflective surfaces. After seeing the exhibit, I went immediately in search of books about Richard Estes and came across this gorgeous, well-organized book that presents a thorough and absorbing account of the artist’s life, his work, and his influences. 50 pages are devoted to full-color plates of his paintings from New York and other places he’s traveled to. The book ends with a chronology of the artist’s life and career beginning in 1932 with his birth and ending in 2013 with marriage to his longtime partner, Chris Jones. This book is a treasure, and I’m thrilled that my library had a copy.